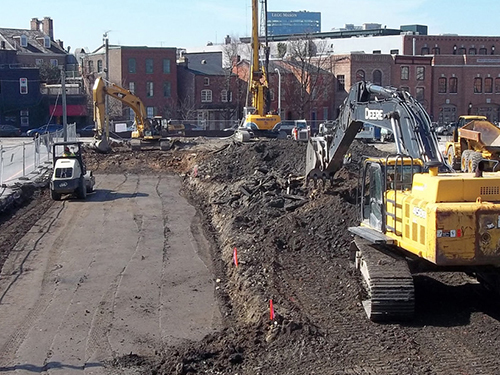 Brownfields Redevelopment | Geo-Technology Associates, Inc.
Brownfields are vacant or under-utilized commercial and industrial sites, typically where contamination or perceived contamination inhibits the sale or redevelopment of the property. The federal government and various state agencies have implemented programs designed to encourage the redevelopment of Brownfields sites. In Maryland, this process is implemented by the Voluntary Cleanup Program (VCP), which is administered by the Maryland Department of the Environment (MDE). Typically, using a Phase I Environmental Site Assessment (ESA), a Phase II ESA, and various supplemental data, the MDE can determine that either (a) the site does not warrant further evaluation or remediation and redevelopment can proceed, or (b) remedial action is necessary. When remedial action is needed, the cleanup criteria will be reflective of the future use of the property. Most other states have Brownfield Programs similar to Maryland's. GTA has worked within and successfully completed Brownfield projects up and down the east coast. GTA has performed Phase I and Phase II Environmental Site Assessments (ESAs) at the subject property. This previously distressed property is located in a developing area of Baltimore and had local residential support to develop the area. A former petroleum plant refinery and distribution/bulk storage was located at the site from 1892 until the mid-1950s, when it then became an asphalt plant, followed by a bulk storage terminal until 1998. Extensive preliminary research was required to historically understand the activities performed at this site. Previous environmental investigations determined impacted groundwater and soil with petroleum hydrocarbons and were used in conjunction with GTA’s Phase II ESA data to fill vital data gaps (e.g., methane, heavy metals). The historical documentation and site evaluations were submitted to Maryland’s Voluntary Cleanup Program (VCP). A Response Action Plan (RAP) pursuant to the VCP was approved by the Maryland Department of the Environment (MDE) on an expedited turn-around time to establish a proposed remedy for on-site contamination in conjunction with planned site development. The 325,000-SF development plan includes Target, Harris Teeter, Old Navy, Michaels, Loft, ULTA Beauty, Red Robin Gourmet Burgers, Five Below, Sleepy’s, BB&T Bank, and Vitamin Shoppe. GTA prepared and implemented a RAP, which included installation of a passive and active soil venting systems at each of the retail buildings, capping, confirmation indoor air monitoring, management of dewatering activities and site soils, and engineering and institutional controls. 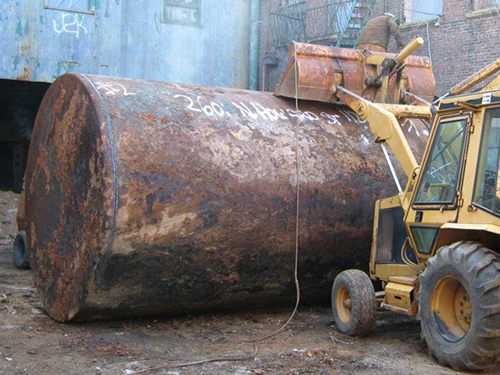 GTA’s services also included construction observation and testing services during the demolition and removal of former refinery structures and petroleum conduits. “Multifamily Community of the Year” and “Best Rental Apartment Community (Non-Garden, Five Stories or Less),” by the National Association of Home Builders. “WaveMaker Award,” from the Urban Land Institute Baltimore District. GTA is responsible for Phase I and Phase II Environmental Site Assessments (ESAs) for the $72 million redevelopment of a former industrial property into an upscale, LEED Silver designed, mixed-use facility containing 281 apartment, 4,500-SF of retail space, and nearly 500 parking spaces. Previous uses of the subject property have included an oyster and fruit packing company, an ice works facility, salt companies, a can manufacturer, a marine supply, and a concrete plant. Several buildings, including ice houses, boiler rooms, freezing tanks, a coal shed, condensers, an automobile repair building, and garages, were located on the subject property in association with the previous uses and have been removed. As part of the Phase II, a geophysical evaluation was performed, which included an electromagnetic (EM) survey and a ground-penetrating radar (GPR) survey, which identified anomalies that correlated to railroad tracks, buried metal, piping, and conduit. GTA was selected to generate a Maryland Department of the Environment (MDE) approved Phase II ESA Work Plan, which was implemented. Laboratory analysis of samples collected from the site reported elevated concentrations of petroleum constituents, semi-volatile organic compounds (SVOCs), and arsenic and lead in soil, and petroleum constituents, VOCs, and lead in groundwater, and VOCs in soil vapor. The site was entered into the MDE Voluntary Cleanup Program (VCP). GTA prepared and implemented a Response Action Plan (RAP), which included installation of a passive soil venting system, capping, confirmation indoor air monitoring, management of dewatering activities and site soils, and engineering and institutional controls. GTA requested and received a Certificate of Completion from MDE. GTA was responsible for a Phase II Environmental Site Assessment (ESA) for the $20 million redevelopment of a historic, but environmentally contaminated, former industrial property into an 86,000-SF mixed-use facility containing 56 one and two bedroom apartment units targeted to teachers, and 25,000 SF of office space designed for non-profit organizations. Union Mill, originally known as Druid Mill, was built in 1866. The site was historically a duck cotton mill, an engineering and machine company, furniture and chrome furniture manufacturing, and several other manufacturing companies. Laboratory analysis of samples collected from the site during the Phase II ESA reported elevated concentrations of petroleum constituents and metals in soil, and petroleum constituents and volatile organic compounds (VOCs) in groundwater. The site was entered into the Maryland Department of the Environment’s (MDE) Voluntary Cleanup Program (VCP). Based on the identified contamination and future development plans, a Response Action Plan (RAP) was generated by the developer and later approved by the MDE VCP. 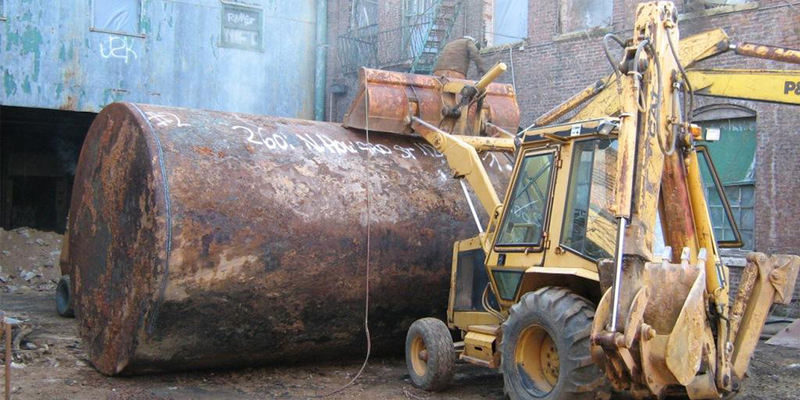 The RAP ultimately included removal of 27,000 tons of petroleum/metals-impacted soil, removal of 400 tons of hazardous levels of cadmium-impacted soil, an extensive below grade piping and tunnel evaluation, various capping methodologies, and other engineering and institutional controls. In addition, one 3,000-gallon fuel oil underground storage tank (UST) was removed from the subject property during the construction process. The UST received formal closure through MDE’s Oil Control Program. 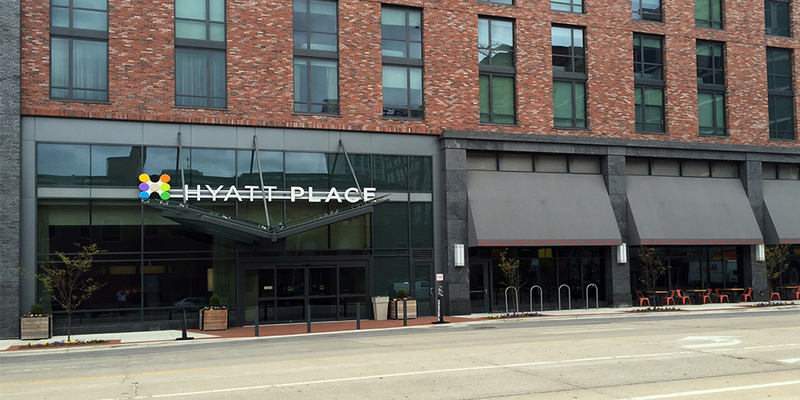 The project has received state and federal historic preservation tax credits and is designed to Baltimore City Green Standards (two stars) the equivalent of LEED-NC Silver Certification. GTA performed Phase I and II Environmental Site Assessments at the subject property as part of BDC’s Brownfield Initiative. Review of historic aerial photographs and fire insurance maps indicated that the site was historically used by the H.F. Miller & Son Tin Box and Can Manufacturing Plant, a clothing manufacturer, and the U.S. Census Bureau. Laboratory analysis of samples collected from the site reported elevated concentrations of petroleum constituents and metals in soil, and petroleum constituents and volatile organic compounds in groundwater. In addition, one 1,000-gallon gasoline UST, one 10,000-gallon AST, and approximately 120 tons of oil/petroleum impacted soil were removed from the subject property. The historical documentation and site evaluations were submitted to Maryland’s Voluntary Cleanup Program (VCP). A Response Action Plan (RAP) pursuant to the VCP was approved by Maryland Department of the Environment to establish a proposed remedy for on-site contamination in conjunction with planned site development. The proposed remedy included construction monitoring during development, installation of a surface cap across the site, installation of a vapor mitigation system, and excavation restrictions enforced by the property manager. The RAP has been implemented, but due to the timing of occupancy by tenants and challenges with the required indoor air testing, the project was temporarily removed from the VCP. GTA is in the process of providing additional indoor air testing, and when applicable, the project may reenter the VCP. 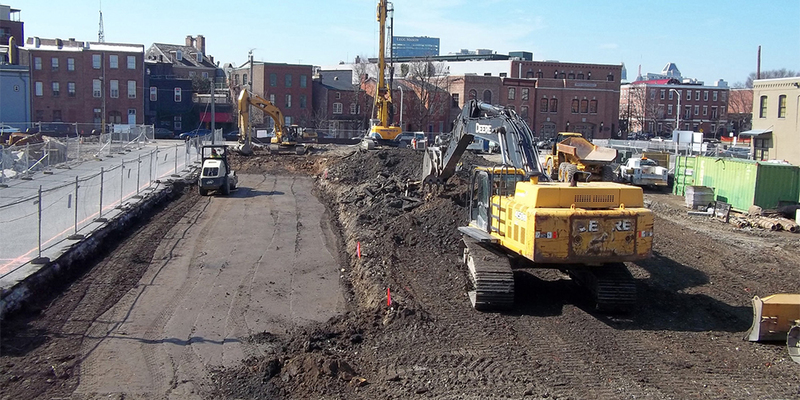 Lastly, GTA worked closely with the BDC and the development team and assisted in securing resources from the City’s first Brownfields Cleanup Revolving Loan Fund from the United States Environmental Protection Agency (USEPA). Unfortunately, after BDC secured the loan from USEPA, the development team decided to use other funds for this project. For more information on the project see: http://www.millerscourt.com. Awarded “Best in Real Estate – New Construction, Second Place,” 2016, by the Baltimore Business Journal. 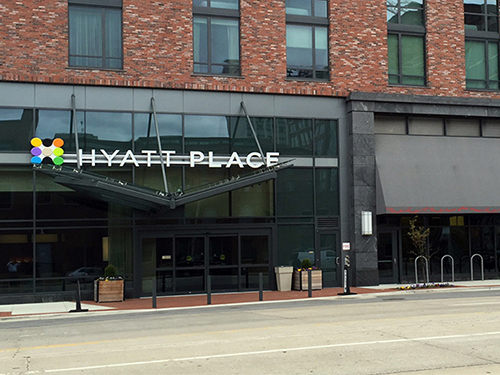 GTA performed Phase I and Phase II Environmental Site Assessments at the site of the proposed Hyatt Place, a 150,000-SF, 208-room hotel with parking garage geared towards business travelers. Review of historical documentation including aerial photographs and fire insurance maps indicated that the site was historically used as a barrel and tin can factory, a lumber storage facility, a waste paper storage facility, and general warehouse usage. The building on-site has been demolished and is planned to be developed with a hotel, retail space at the ground floor, and a parking garage. Laboratory analysis of samples collected from the site reported elevated concentrations of total arsenic and lead concentrations, polycyclic aromatic hydrocarbons (PAHs) and hexavalent chromium in soil. The historical documentation and site evaluations were submitted to Maryland’s Voluntary Cleanup Program (VCP). A Response Action Plan (RAP) pursuant to the VCP was approved by the Maryland Department of the Environment (MDE) to establish a proposed remedy for on-site contamination in conjunction with planned site development. The proposed remedy for soil includes the removal of hexavalent chromium-impacted soil, additional soil sampling to delineate hexavalent chromium impacts, removal and disposal of metals and petroleum-impacted soil, construction observation for correct RAP implementation, using appropriate construction observation, health and safety measures during the planned construction, notification to MDE prior to future excavation activities, and capping to prevent direct contact exposure. 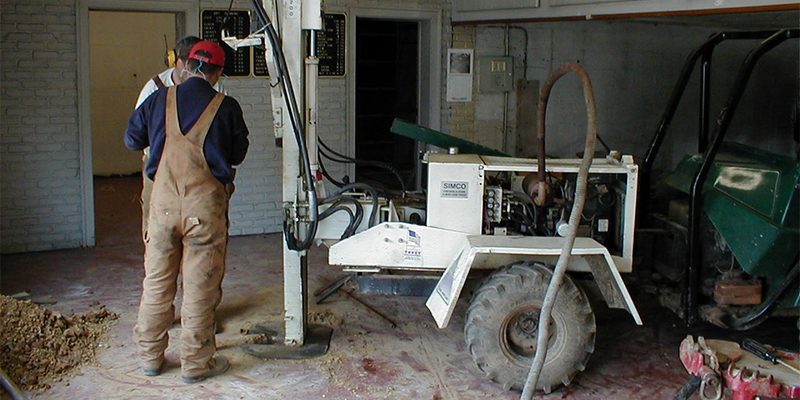 The proposed remedy for groundwater includes a deed restriction on the use of groundwater beneath the site for any purpose, construction observation for correct RAP implementation, health and safety measures during the planned construction, proper management of groundwater during dewatering activities (if necessary), and capping. The RAP implementation was completed, the RAP Closure Report was submitted to MDE, and a Certificate of Completion was received. 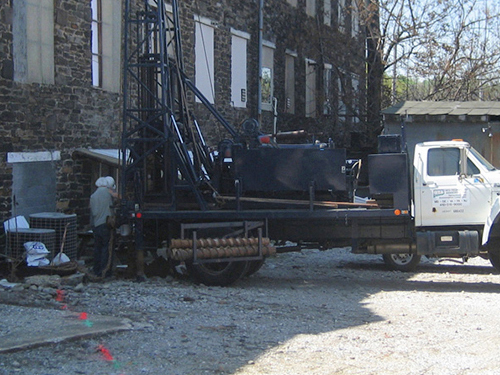 GTA also provided construction observation and testing service during construction. 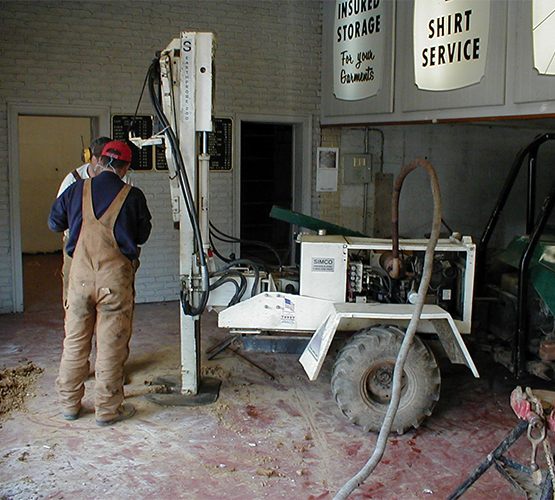 GTA performed Phase I and II Environmental Site Assessment (ESA) activities at a former dry cleaner facility in Alexandria, Virginia. The work was performed for an interested buyer, who was planning to convert the building to a mixed commercial/residential use. The Site Assessment activities included researching the historical operations associated with the facility and surrounding region, and collecting soil and groundwater samples from various locations across the site. 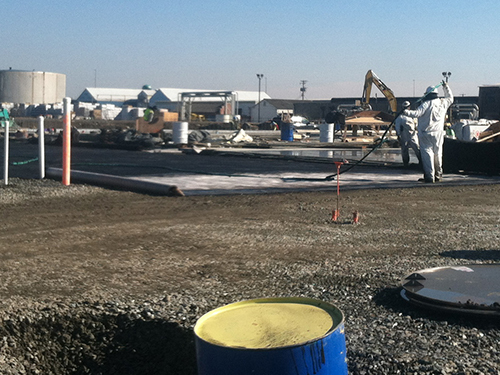 As a result of the Phase II ESA, impacts to soil and groundwater from traditional dry cleaner chemicals were identified onsite and off-site. 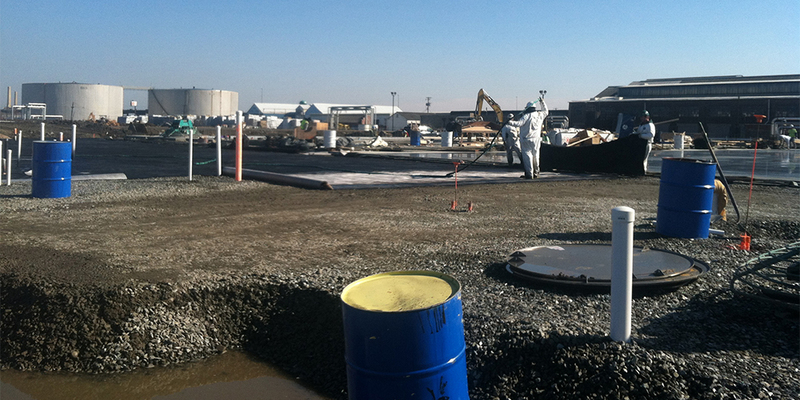 As a result, the Client elected to enroll the facility in the Virginia Voluntary Remediation Program (VRP). The facility was accepted into the program and additional site characterization activities were performed. Due to the close proximity of residences, potential risks associated with soil vapors were evaluated immediately downgradient of the site and a potential receptor evaluation was conducted for the site vicinity. GTA environmental personnel provided technical and management services related to evaluation of the site, as well as interfacing with regulatory personnel.